Garage Door Bottom Weather Seal EPDM "T" Rubber 18-ft.
CLOPAY Residential Garage Door Bottom EPDM Rubber Weather Seal 18-ft.
Windsor Vinyl P-Bulb Garage Door Bottom Weather Seal 18-ft.
Wayne Dalton Garage Door Bottom Bead End Rubber Weather Seal 18-ft.
Ultra Rubber Garage Door Bottom T-End Weather Seal 18-ft. 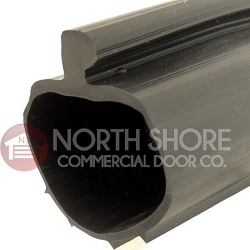 Weather Seal for Garage Door Bottom Bulb-Type EPDM Rubber 18-ft. Weather Seal for Garage Door Bottom “P” Bulb Vinyl 18-ft. Weather Seal for Garage Door Bottom “T” Bulb Vinyl 18-ft. 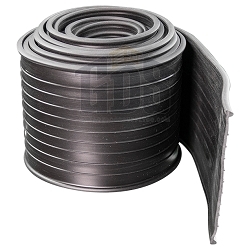 Replace your damaged garage door weather seal with our bargain-priced weather seal in 18-foot lengths from Garage Door Supply Company. We have T-bulb weather seals, as well as wood door bottom seals at inexpensive prices. 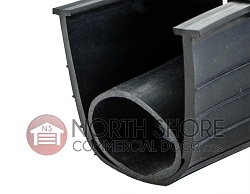 You can also find 18-foot StormShield garage door threshold kits, which includes 18 feet of threshold and two tubes of threshold adhesive per kit to affix to your garage door floor. 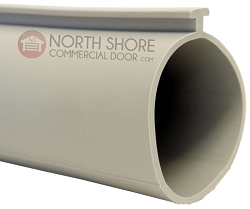 Our weather seals for your garage door bottom are sold by the foot, so you can order any length for residential or commercial garage doors. Always order one extra foot to allow for shrinkage. 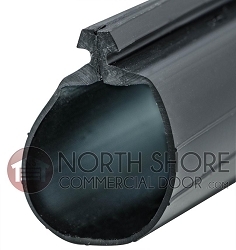 For example, order an 18-foot length of weather seal if your door is 17 feet wide. Our 18-foot length can also be ordered for two 8-foot-wide garage doors. Weather stripping insulates your garage, which can save on energy bills. Weather seals also prevent damage to the contents of your garage by preventing the entry of rodents and other small pests. If you have questions about the best replacement weather seal for your garage door, contact our in-house experts for fast, free help.